Back pain is not easy to deal with. Once it comes along, it takes time, effort, and patience to get yourself back to the state of health you were in before. It’s best to take preventative measures and break a few habits that might be breaking your back. The sciatic nerve is the longest nerve in the body, and while it is not located only in the spinal area, many people’s sciatic pain complaints tend to commonly be centered there. Any irritation or inflammation of the nerve can lead to anywhere from mild to extremely debilitating pain. While chiropractic treatment does target your musculoskeletal system to relieve pain and stiffness in your joints, it offers a lot more than just spinal adjustment and flexibility. Since your body health is connected to your mental health, chiropractic treatment provides mental relief from issues such as anxiety and depression. Your spine hurts, you feel miserable and you’re blaming your heels for the pain you’re suffering. But are you right? Although heels do cause lower back pain, according to various studies, they are not the only culprit for your aches. Does a Lumbar Support Pillow Really Help? 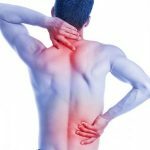 Adding to the list of body pains we usually suffer from and the ones we shouldn’t ignore, here are some more indicators of the aches we should pay attention to.